A “trembling trio” of deceased musicians strikes up a graveside melody…one of the Haunted Mansion’s spectre-filled surprises in store for our courageous guests. Another great postcard from the mid-197os. 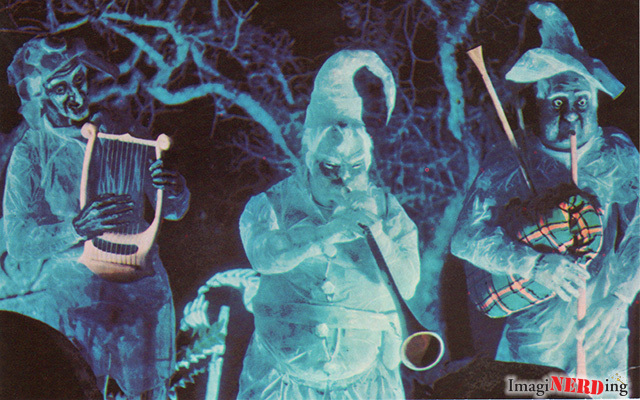 This one has a rare shot of the Haunted Mansion musicians in the graveyard scene. You won’t catch Disney offering any close-up photos from inside their attractions any more. Nerdy Post: Utilidor construction at the Magic Kingdom.